Average property prices in the three months to October were 1.5% higher than in the same three months a year ago, according to the latest Halifax House Price Index. This is down from the 2.5% annual growth recorded in September – the lowest rate of growth since March 2013. In terms of housing activity, monthly UK home sales remain flat, with the number of sales recorded in the three months to September the same as the previous three months. 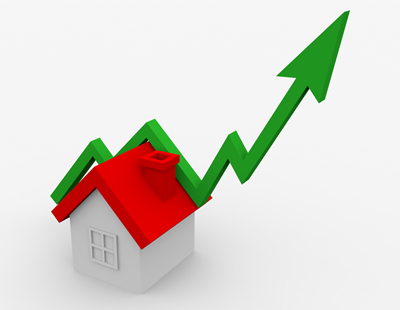 The volume of residential transactions was also flat over the past year, and is likely to remain this way in the next quarter, according to HMRC. Meanwhile, mortgage approvals fell slightly in September, with figures from the Bank of England showing that the number of mortgages approved to finance house purchases fell by 1.3% month-on-month to 65,269 in September. There were some increases in the market, though. House prices in the last quarter (August-October) were 0.2% higher than in the preceding three months (May-July). On a monthly basis, house prices rose marginally by 0.7% in October, following two consecutive monthly falls. The average house price is now £227,869. However, indicators of housing demand and supply remain weak, with respondents to the RICS monthly ‘UK Residential Market Survey’ claiming that the slowdown in market activity is partly due to affordability restrictions, a lack of stock, economic uncertainty and interest rate rises. According to Russell Galley, managing director at Halifax, this slowdown remains within the Halifax forecast annual growth range of 0-3% in 2018. “House prices continue to be supported by the fact that the supply of new homes and existing properties available for sale remains low,” he added. “We see this continuing to be the case over the coming months and we remain supportive of our 0-3% forecast range,” he concluded.